Real Madrid winger Gareth Bale. 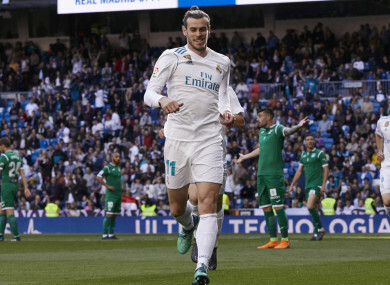 GARETH BALE STAKED his claim for a midweek Champions League start as a much-changed Real Madrid edged Leganes 2-1 to maintain winning form ahead of Bayern Munich’s visit. Email “Bale makes bid for Bayern start as Madrid edge Leganes”. Feedback on “Bale makes bid for Bayern start as Madrid edge Leganes”.